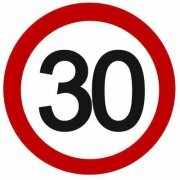 In two weeks time I’m turning 30. I doubt I’ll make another blog before that because I have a pretty packed schedule. 30 sounds old (to me), it is probably old for a poker player but I’m already certain it’s going to be a great year because I’ve already planned a lot of fun stuff. More about that later, I first want to write something about last week’s Sunday Million. As said the weekend after will be my B-day weekend. It starts on Friday the 14th with my real B-day which means I’m doing nothing at all. I’ve never worked on my B-day, skipped school when I was younger and plan to never do anything on my B-day for the rest of my life unless I enjoy doing it. This normally means I get out of bed in the afternoon, start eating all kinds of unhealthy food, go out for dinner with some family (& friends) and end the day with some friends, drinking beer. I haven’t celebrated my B-day since my 25th so this year I’ll throw a small party on the 15th. I expect 50-60 people, we meet in one of my favorite places and we will see how things go. Most of the time this involves a lot of alcohol and ends pretty late which means I’m in no state to play any poker on Sunday 🙂 On Monday I leave for Barcelona with my girlfriend for a week which should be the perfect start of my 31st year on this planet. Next to Barcelona I’m already looking forward to another trip which I’ve already booked and that’s another trip to the French Alps. 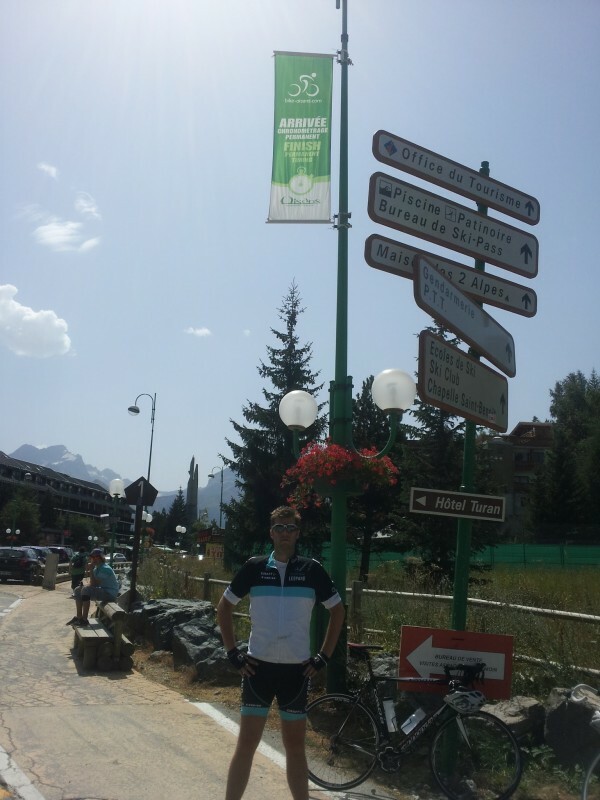 Two weeks ago I made a short trip to the French Alps to cycle up Alp d’Huez. I already did it once but I really wanted to go back and hoped to make more people enthusiastic for a longer trip somewhere next year. In the end we only went with two people but it was awesome anyway. I hoped to beat my previous time (1:48) by a lot since I knew I could do it much faster and also I’m two years further which should mean better trained. My buddy never cycled any big mountains but actually took the lead in the first 2,5 steepest kilometers of the ride. It was extremely hot, 33C+ and I might have started a little to fast because I just couldn’t accelerate after those first 2,5km, which was the plan from the start. I finished the 14km long ride a 30s after my buddy in 1:47, a disappointing 1 minute faster but at least it was faster! We had some beer at the top, cycled downhill with speeds going over 70km/h and enjoyed some more beer at the pool in our hotel. 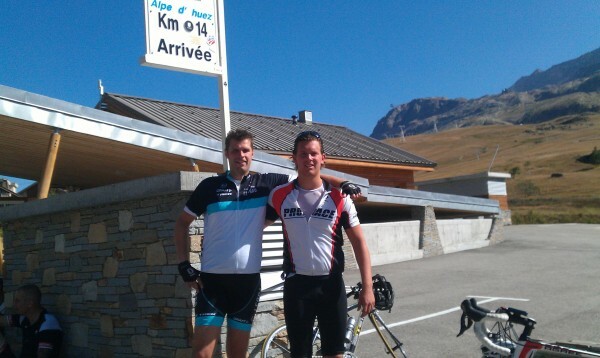 The plan was to cycle up the Galibier (32km) the next day but because of the weather we decided not to. Les Deux Alpes (9km) seemed like a better plan which resulted in some more beer. The next day we got to the foot of the mountain at 11:00 (33C again), we both had a small hangover and we forgot to do a warm-up before going up the mountain. The last 3km’s there was no shade to be found and I was pretty exhausted when we made it to the top but we did it again! It’s just such a great feeling, we both wanted more. On the way back our car broke down just before Luxembourg so we had to leave our bikes and car (brand new lease car) in France but it didn’t take any effort to convince my buddy to come back next year for a week to cycle the other big mountains like the Galibier, Glandon and Croix de Fer. The rumors that Alp d’Huez will be part of the 100th Tour de France, which is next year, were very strong so we’ve booked a chalet in the 3rd week of the Tour de France at the foot of Alp d’Huez in Bourg d’Oissans. We already got 6 guys and have room for 2 more which means this is going to be a really awesome trip for all of us. If the Tour de France will actually finish on Alp d’Huez we hope to make our way to the Dutch Corner (#7) and party along with hundreds of crazy Dutch people. For sure we all need to train for this week and last weekend I had my last organised ride of this year. Since my bike didn’t return from France till Wednesday there was no way for me to do any training on my bike so after doing nothing for two weeks I had to cycle 110km. No training doesn’t help, drinking a lot of alcohol on Friday didn’t help either and eating pretty unhealthy over the last 2 weeks might not have been such a good idea either. An old colleague of mine joined us for the ride and he was a little bit more trained then the rest of us. I think he cycled up front 80% of the time and after 95km I cracked and a little later I even had to get off my bike to avoid huge cramps about anywhere in my legs. If I want to achieve my goals for next year I have to train more and I found a really perfect App/Website which hopefully is going to help me with this: www.strava.com. If you cycle or run and currently use RunKeeper or MyTracks I would really advice you to check this out, some of the features (f.e. segments) are so awesome that I can’t wait to go for a ride again. Well, that’s it for now. As said I’m looking forward to the coming weeks, I’ll probably blog again when I’m back from Barcelona unless I win one of the WCOOPs. I wish everybody good luck and in case you are a cyclist as well feel free to add me on Strava! Ik speel nu sinds kort op pokerstars en hoop eens tegen je te mogen spelen. Lijkt me top om tegen een pro eens te mogen spelen. Wat speel je normaal? Kan natuurlijk kijken of we eens voor de gein een HU kunnen spelen 😉 Succes op de Pokertafels!